It’s a repeat of our previous messed-up weekend. From 11:45 PM Friday, April 21 to 5:00 AM Monday, April 24 there will be no service in either direction at High Street or at the 4/5 platforms at Borough Hall. 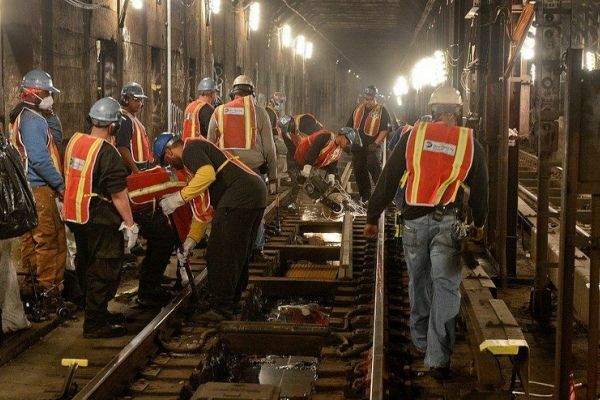 A and C trains are being diverted to the F line between Jay Street-Metro Tech and West 4th Street, and 4 trains are not running to or from Brooklyn (5 trains don’t serve Brooklyn on weekends). Your options are to use the 2 or 3 to or from Clark Street or Borough Hall, the R or (late night) N to or from Court Street, or the A, C, or F to or from Jay Street in Downtown or York Street in DUMBO. All of these should be running normally, barring the unforeseen. The following work week, Monday, April 24 to Friday, April 29, there are no planned cancellations, route diversions, or station skips directly affecting service at any local stations. For planned service changes that may affect travel on other parts of the system, either during the weekend or the following week, or for unplanned disruptions, see MTA Info or The Weekender.